I love our All Natural Wood Polish. I use it on everything – my hands, wooden dishes, antique furniture, and even to condition my vintage leather Coach bags. As a teen, I worked for my father cleaning in a furniture store with polish made by a small family business. After they went out of business, I looked everywhere for something comparable. Finally, decades later, we’re having it locally handcrafted for our customers! Three BEEautiful B ees Wood Polish is made in three varieties, using natural ingredients to condition and enhance the beauty of our wooden products. Our Original Wood Polish is made with high-quality food grade mineral oil to condition the wood, and beeswax to prevent dirt, food and water from penetrating into the wood. Lemon Lavender Wood Polish is the same recipe, but with subtle lemon and lavender essential oils. My favorite, the All Natural Wood Polish, combines the conditioning qualities of MOFGA certified organic jojoba oil with beeswax to protect the wood. This is what we use on our wooden plates and dishes, as well as our wooden teethers for baies. Sourcing certified organic jojoba oil can be a challenge due to increasing demand and crop shortages. The perils of the modern honey bee makes it increasingly difficult to source quality beeswax. We purchase beeswax from Midwestern beekeepers, and jojoba oil from certified organic farms. 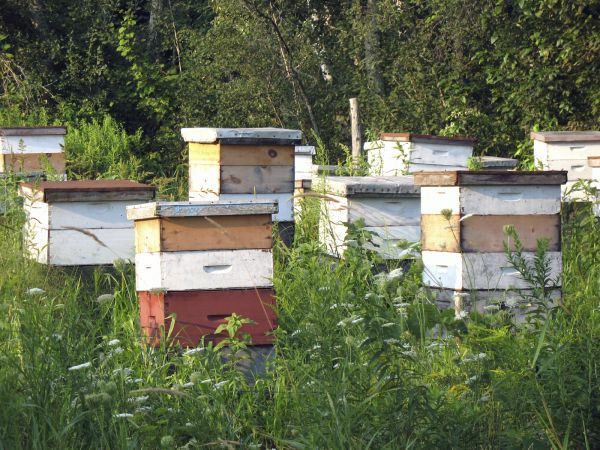 Our connections to beekeepers and farmers help us understand their concerns. We truly appreciate their efforts in providing golden aromatic beeswax and nourishing jojoba oil. 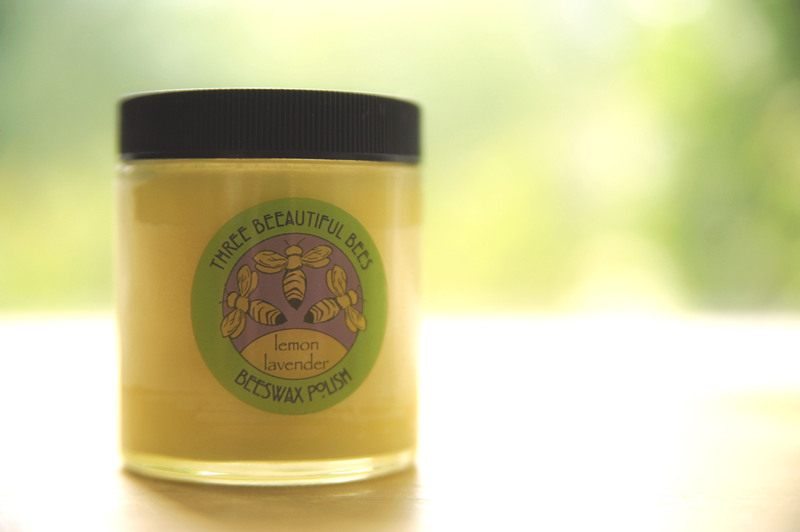 The Three BEEautiful Bees product line was formulated by our talented friend, Meena. an intuitive master skilled with herbal and flower essences, Meena’s loving, healing energy goes into every batch of our polish – a secret to successful small batch manufacturing.